I am setting up a tomcat project for remote debugging by eclipse. I am able to set up the docbase using a .xml ok. however, this project references a lib which I am debugging at the same time, and sits in another directory entirely.... 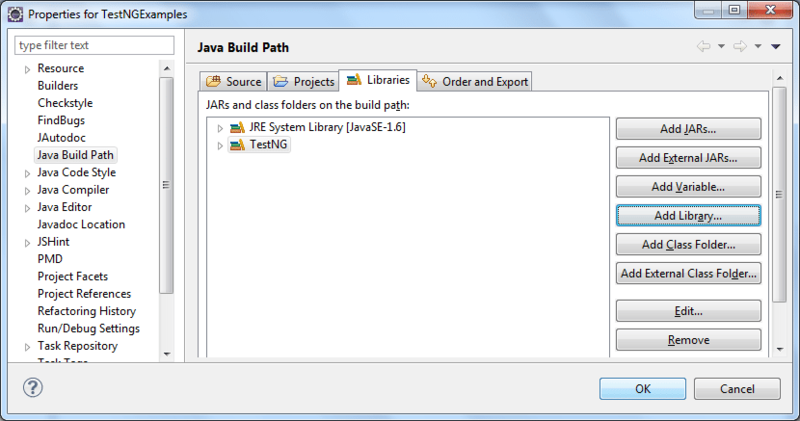 When using java 9 Eclipse defines a module path in addition to the classpath. 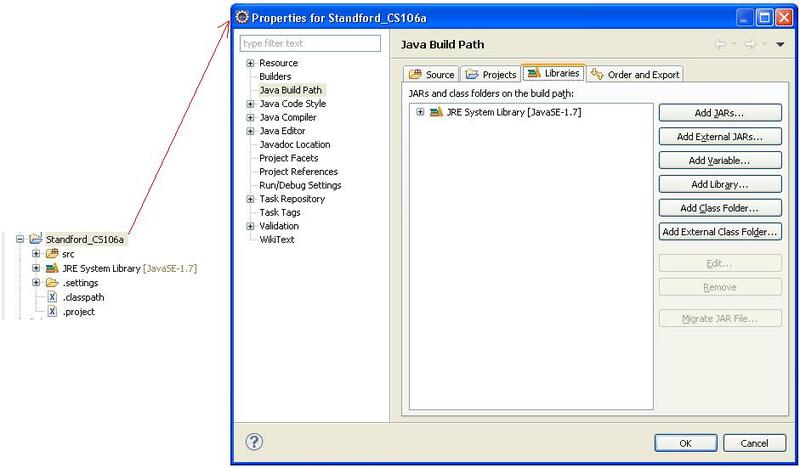 This is visible in the project configuration Java Build Path / Libraries page. The name of the added library is Project and External Dependencies . Eclipse is including those compiled .class files in your project's classpath. Download Image How To Add A Jar To The Classpath In Eclipse - Stack Overflow I assume this is due to an imported jar (commons-io-2.4.jar) that does not get added to the classpath. how to clean a motherboard fan While creating a project in Eclipse, by default it creates a .classpath file in the project directory. That file will be usedfor storing file names and other dependent files needed in the classpath to compile and execute the project successfully. While creating a project in Eclipse, by default it creates a .classpath file in the project directory. That file will be usedfor storing file names and other dependent files needed in the classpath to compile and execute the project successfully. how to add netflix to plex You can place the class file anywhere, just be sure to add its directory to your project's build path. Right click on the project, then properties at the bottom then build path, til you find add class folder. 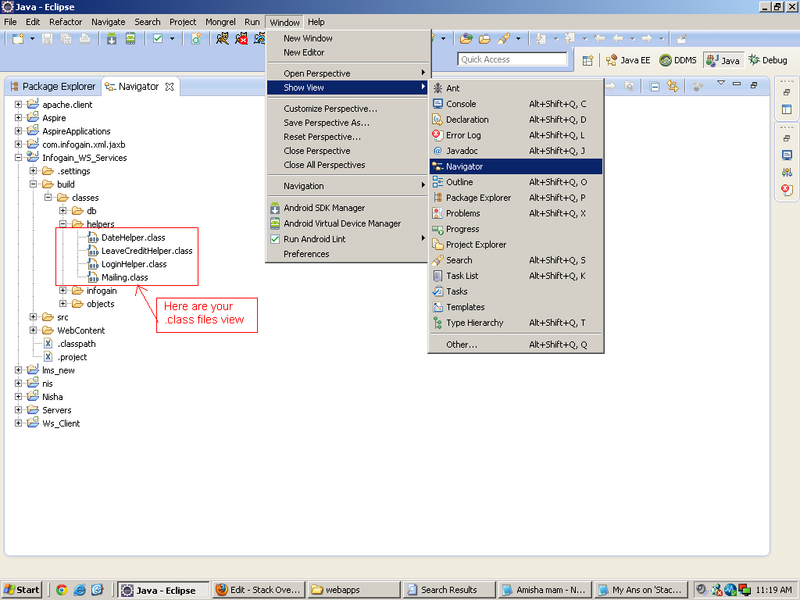 Eclipse class-path and the system class-path is different. While building, you need to add them as shown above because you want to build them through Eclipse. While running the application, if you don't use Eclipse, then you will need them in your server's class-path (either in WEB-INF\lib or the common\lib folder of the server). Eclipse overrides existing project files when importing existing project I'm working on an existing project from my wd of git. /> .classpath and default.properties files are on the repository. I am setting up a tomcat project for remote debugging by eclipse. I am able to set up the docbase using a .xml ok. however, this project references a lib which I am debugging at the same time, and sits in another directory entirely.